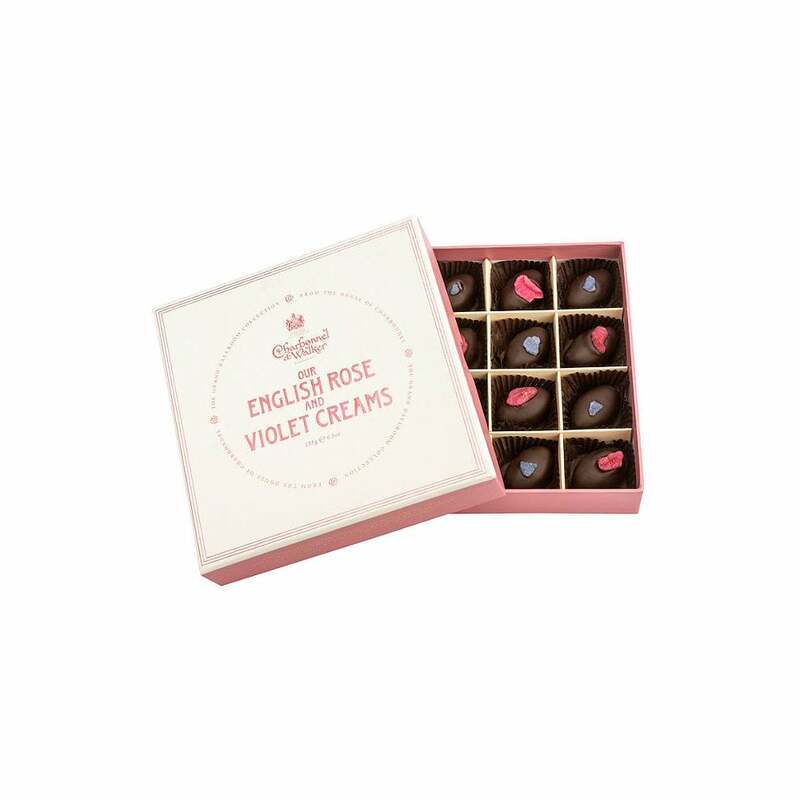 En robed in dark chocolate these Rose and Violet creams are an iconic Charbonnel et Walker product. Perfectly finished with crystallised rose and violet petals. Presented in a beautiful gift box these will make the perfect present this season.